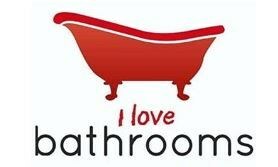 Here at I Love Bathrooms we strive to give our customers the very best from advise to workmanship. You want it we will make it happen within reason. Your dream bathroom is just around the corner. We cover everything from small jobs up to full house and flat refurbs. Although we do specialise in bathrooms & wetrooms, we have the team and suppliers to give you a stress free experience all within budget. Get in touch for your free quote today.